Over the years, so many people have told us they love our hot coffee and other drinks at the Markets, and they love our coffee beans to take home or order online. Finally we have somewhere to put those wonderful testimonials — here on this page! If you would like to make a “selfie” testimonial video for us, we would LOVE to see it! If you’d like to make an “audio” or voicemail testimonial, or even a written testimonial sent by email, we’d love to see and hear those too. We’re busy making a little Tutorial on how to make your testimonials, and how to easily send them to us — it’ll be ready very soon! 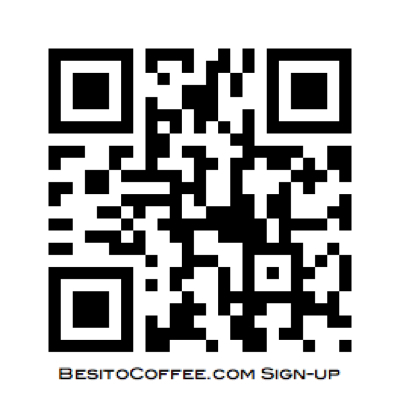 And don’t forget to sign up for the Newsletter to keep in the loop of our new coffees and special discounts for your Besito community.